Girl Scouts has always emphasized the importance of being civically engaged. So to support ALL of today’s girls, we’re launching the G.I.R.L. 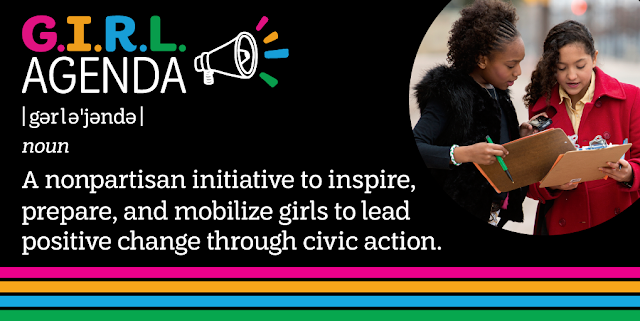 Agenda Powered by Girl Scouts, a nonpartisan initiative to inspire, prepare, and mobilize girls and those who care about them to lead positive change through civic action. The multiyear effort celebrates the Girl Scout legacy of civic engagement programming—which now includes a new Good Neighbor badge for Daisies—and will provide girls and adults with tools to be catalysts for change who strengthen their communities and the world. The G.I.R.L. Agenda makes it simple to access civic engagement resources tailored to prepare every G.I.R.L. (Go-getter, Innovator, Risk-taker, Leader)™ to stand up for what she believes in. The resources are derived from time-tested Girl Scout programming and provide a roadmap for how to take action in different ways, such as challenging unfair policies, mobilizing communities to support important causes, and meeting with public officials and community leaders to educate them about key issues. 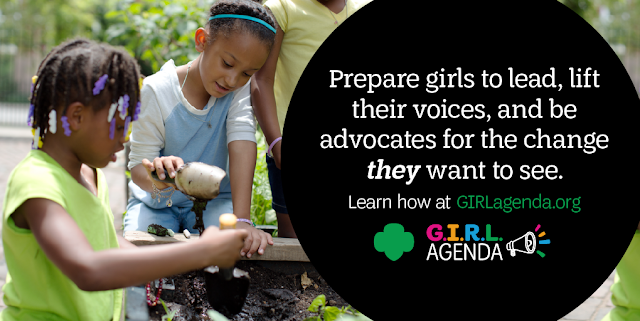 By making age-appropriate resources accessible to all, and by providing actionable steps through the Girl Scout Advocacy Network to influence policy issues that affect girls, the G.I.R.L. Agenda will give hundreds of thousands of girls and adults tangible ways to make a difference in topics of their choosing, expanding the reach of civic engagement resources beyond Girl Scouts’ 2.6 million members. “Many people, including girls, want to become active in public policy and learn how to advocate for positive change, but they don’t know where to start,” said GSUSA CEO Sylvia Acevedo. “Through the G.I.R.L. Agenda and our proven civic-engagement programming, Girl Scouts serves as a nonpartisan resource for girls—and those who care about them―to learn concrete steps they can take to stand up for what they believe in. To advance the G.I.R.L. 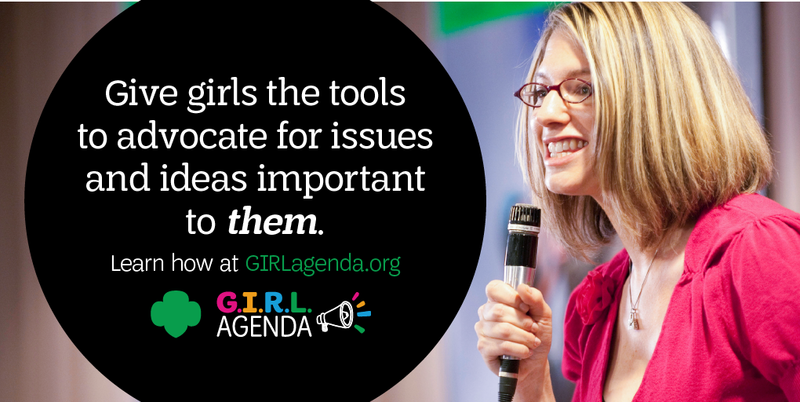 Agenda, and for tips on leading positive change through civic action, visit www.GIRLagenda.org. See how others are taking action by searching #GIRLagenda on social media.